We are among the well-known manufacturers and suppliers of excellent quality Industrial Packaging Tapes that are used to connect two non-similar surfaces with a lot of ease. Our adept professionals design these tapes using the finest quality raw material and cutting edge technology in sync with set industry standards. Apart from this, offered packaging tapes are highly appreciated in the market for its different quality features. 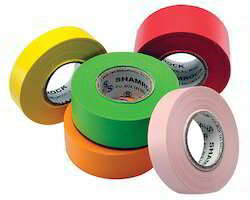 Backed by a diligent team of professionals, we have been able to manufacture and supply a distinctive range of Industrial Labeling Tape that are widely used in paper & printing industry. In line with set quality standards, offered industrial labeling tapes are designed using superior quality raw material and sophisticated technology by our skilled professionals. Our quality controllers test these industrial labeling tapes against variegated parameters in order to ensure their flawlessness. 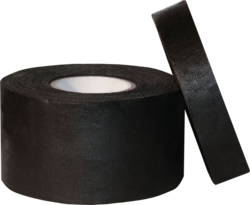 We are able to gain immense expertise in delivering Cotton Friction FR Tape to our clients. The offered range of cotton friction FR tapes is made utilizing high grade raw material and innovative technology in complete adherence with the international quality standards. Along with this, the offered range of cotton friction FR tapes is suitably checked on different characteristics to maintain its authenticity throughout the designing procedure. 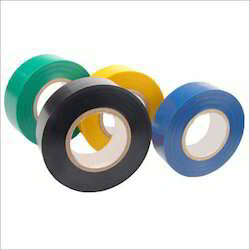 We are the leading manufacturers and suppliers of the Plastic Tapes.